Earlier this year we met the Mixbook team at the SNAP Conference in Utah and we instantly knew we had to partner with them! Mixbook offers professional quality design tool that allows you to create fully customizable photo products like books, cards, calendars and wall canvases. 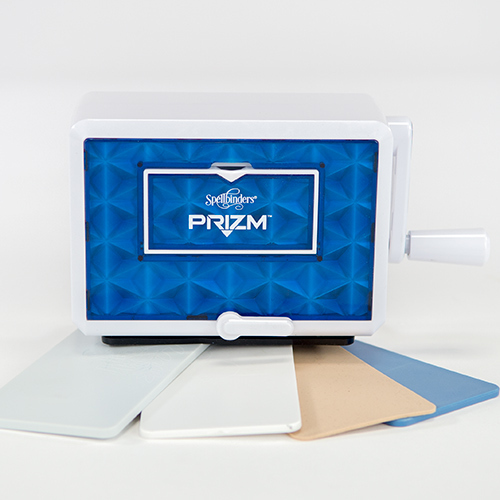 With the release of the Spellbinders Prizm machine, we all knew we had a great collaboration ahead! 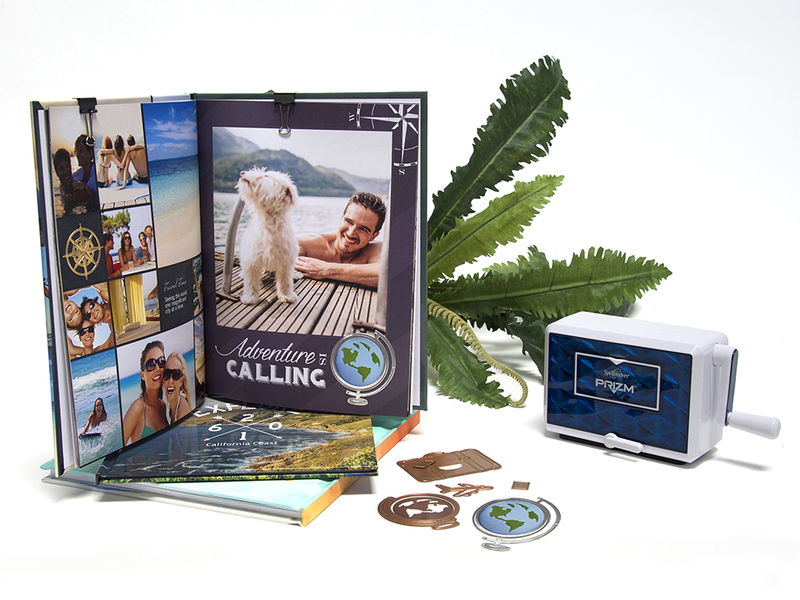 Its size goes hand in hand with creating perfect die cut embellishments for Mixbook photo books! Just like in traditional scrapbooking, you can add handmade designs straight to your Mixbook photo book. We’re taking customization to another level with Spellbinders paper crafts! 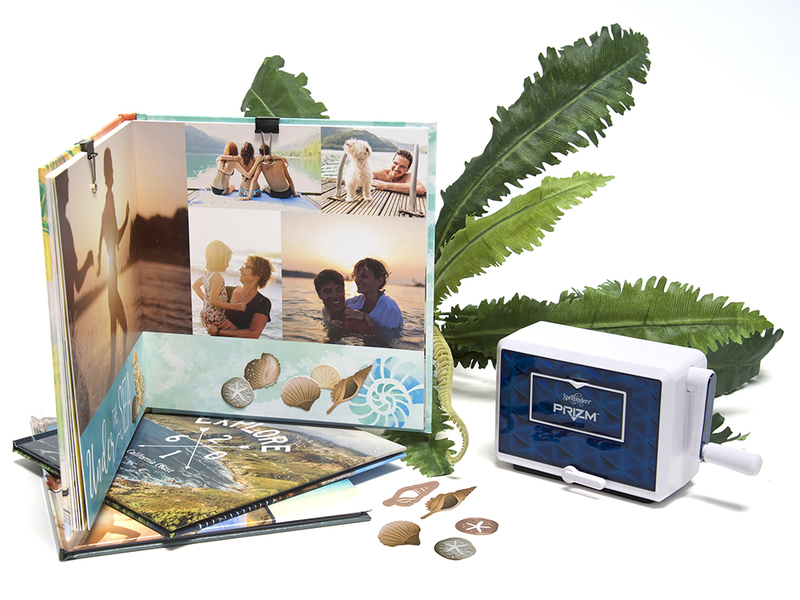 You can add 3D shapes, graphics, designs, and more that give your photo books an extra special touch. And this partnership wouldn’t be complete without a giveaway! 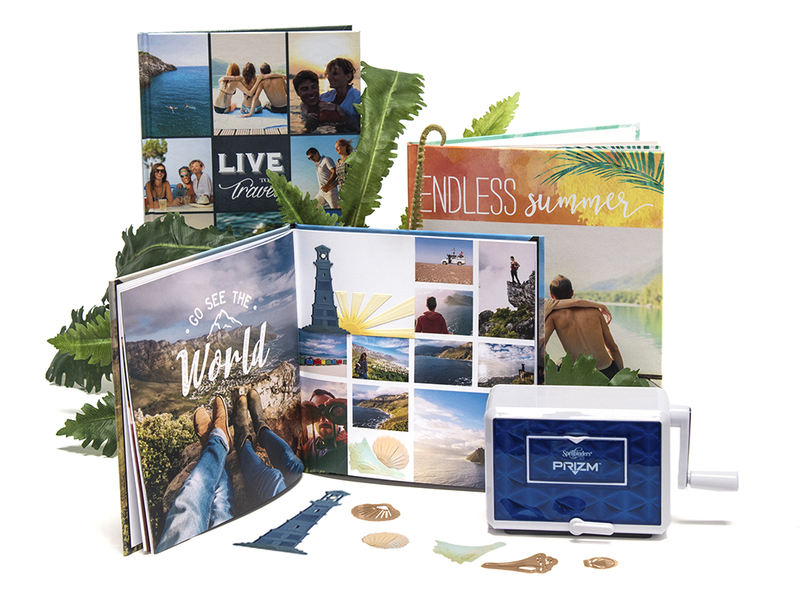 Three lucky winners will win Mixbook photo books AND their very own Prizm Die Cutting & Embossing Machine with special travel-themed etched dies for summer.